I love a good historical and Rosa was a great historical. After feeling a bit unsure with the first two episodes, Malorie Blackman took the reigns and things got so much better. Given the nature of the story, it was clear that racism was going to be a focal point in this episode, but I don’t think anybody expected it to be portrayed quite so graphically (and honestly), with physical violence and strong language from the start. Previously, the show has brushed it off – Martha in Shakespearean London springs to mind – but this time the companions felt the full effects of travelling in different time zones, which was brilliant. 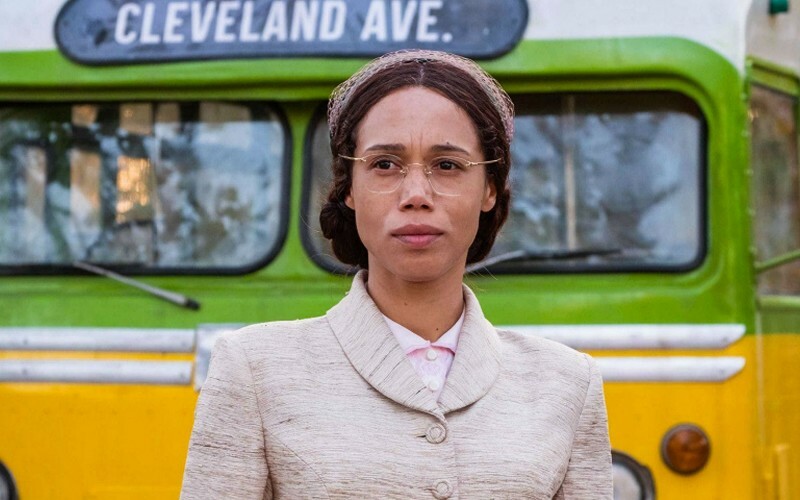 I was pretty aware of Rosa Parks’ story from school, but most of my family hadn’t even heard of her, so this episode serves as a good education for those who are less knowledgeable about history. It’s something everybody should know really. The message isn’t sugarcoated and it still resonates today. Ryan and Yaz discussing modern day racism was a poignant scene, although to me it felt like it was trying a little too much to make the message of the episode really obvious in case people missed it – Doctor Who has usually been quite subtle when dealing with modern day political and cultural issues, although I guess in this case it needed to be said. Once again, the episode looks stunning, with the location filming making it really easy to get lost in 50s Montgomery. While I loved the idea of a villain ‘nudging time’ rather than killing or trying to take over the world, Krasko was a little disappointing. We didn’t really find out who he was and he was disposed of a little two easily. However, this episode didn’t really need a strong villain, as the people of the time were the real villains. The show wisely avoided a ‘bug eyed monster’ or complicated ‘timey-wimey’ plot and let history be portrayed accurately instead, which ultimately worked. 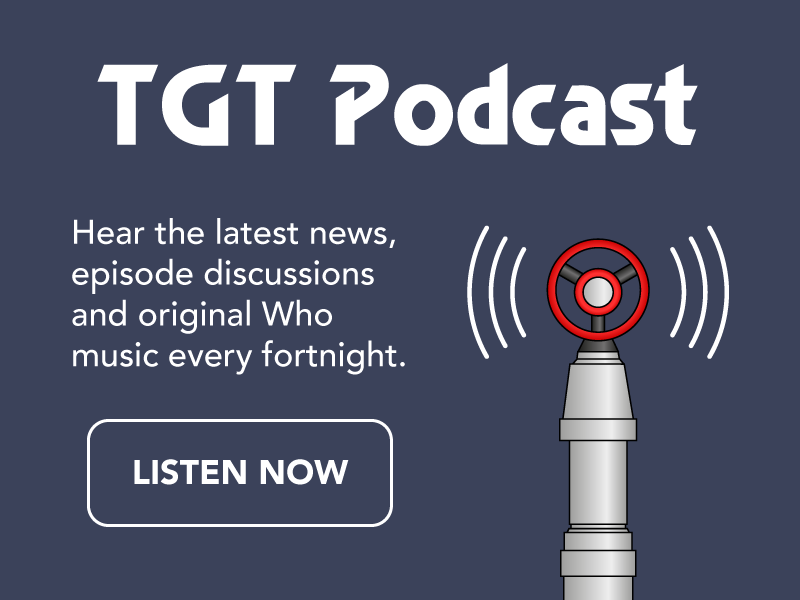 Whereas in last week’s episode, the companions were just along for the ride, this week each character gets their own jobs and their own chance to shine. 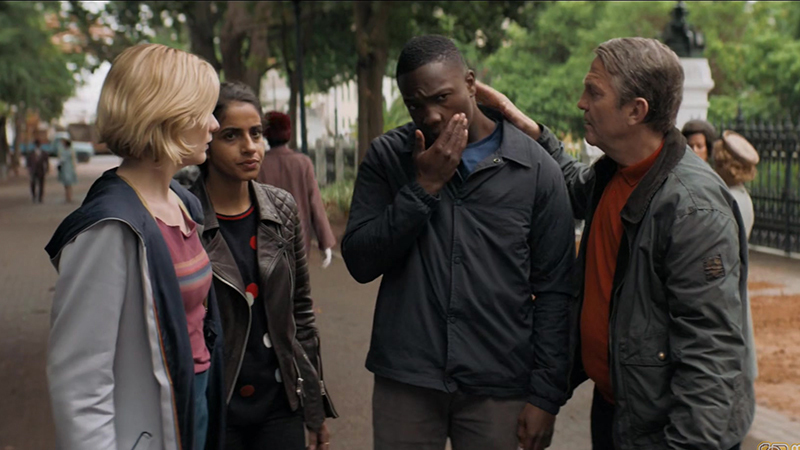 Tosin Cole really impresses as Ryan dealing with segregation and meeting Parks – and Martin Luther King, what a surprise!Whittaker is gradually feeling more like the Doctor for me now, with some great lines and ‘Doctor-y’ moments in this episode. But undoubtedly, it’s Graham who steals the show. From his hilarious pretending to be Steve Jobs scene to the heartbreaking moment realising he is the one that causes Rosa to be arrested. If anyone was in any doubt that Bradley Walsh could act, this scene will prove just how versatile he is. I’m not sure how I feel about the use of Andra Day’s Rise Up playing over the scene of Rosa being arrested. While it kind of worked, it did kind of take away from the moment having a modern pop-song playing over an iconic historical moment. Perhaps it feels unusual as Doctor Who rarely uses pop music as incidental music – although the use of Athlete’s Chances in Vincent and the Doctor was perfect – but I can’t help feel that it would’ve been so much more dramatic seeing it in silence or having a very minimal score. Or maybe this might have made it too dramatic? Anyway, I loved this episode and I truly think it will go down as one of the best – and most important – in the show’s history. Rosa is my favourite episode of S11 so far. I used to enjoy the historical episodes from the Classic series and Rosa feels like one of them. The idea that the Doctor and her companions play a part in history is really good, and I must say that I enjoyed Graham, Yasmin and Ryan’s interactions a lot. Each of them had a part to play, and you could feel the family spirit bounding them. Graham still remains my absolute favourite. Bradley Walsh is stunning in the role, his character fits him like a glove. Vinette Robinson’s performance was brilliant as well. She was a very convincing Rosa Parks! On the downside, my first complaint is the music. Too loud in some scenes, not fitting in others, and that pop song at the end of the episode seriously disrupted my experience. Now I know that this is quite common in US shows, and I suspect that it was an attempt to make the episode feel more US like since the story took place in the US, but sadly, it didn’t work here. Rosa was a good episode with a strong main storyline, and we can only hope that S11 keeps getting better! Rosa was a powerful and emotional episode for what is usually a fairly carefree television program. There were a lot of things I really appreciated about this episode and the pros certainly outweigh any cons. It was truly a great historic episode. Chris Chibnall, the new Doctor Who show runner, seems a stickler for accuracy, which I for one support. His attention to detail is superb; from the bus modelled after the actual Montgomery bus Rosa boarded to the mention of Emmett Till. Emmett Till was indeed talked about in the paper at that time as Rosa stated early in the episode. A 14 year old African American boy from Chicago Illinois who was visiting family in Mississippi was murdered for “harassing a white woman”. The boy was kidnapped, beaten, dragged to the Tallahatchie River, shot in the head, tied with barbed wire and shoved into the water where he was later found. It was an amazing and powerful detail to add to the story. It really helped to convey the feeling and fears of the times. Other great attention to detail was scattered through out the episode. 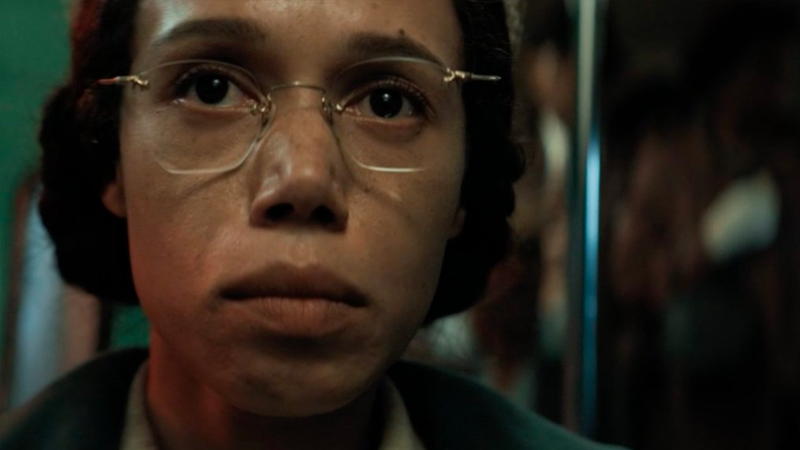 Though the most important scene was at the end when Rosa Parks encountered James Blake for the last time as a bus passenger. Quite a bit of accuracy was added to this scene, though some was left out. The three African Americans leaving her row while she stayed seated was correct. Even much of the dialogue matches what Parks and eye witnesses recalled during the exchange. 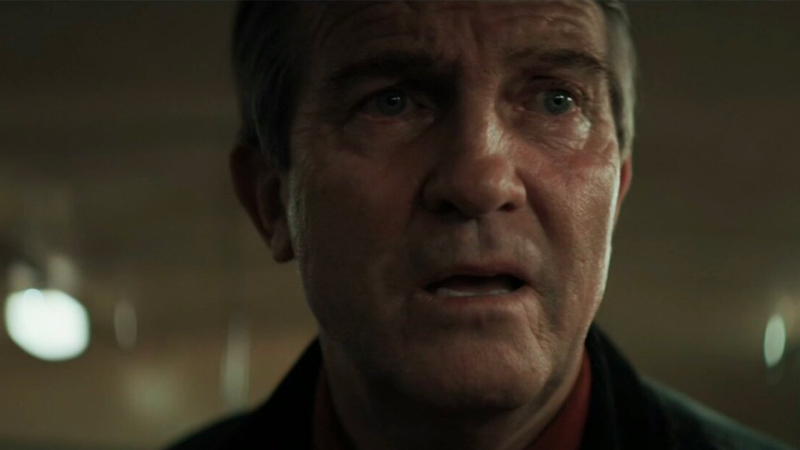 Left out of this scene however, were two crucial parts that I thought may have added a lot (Not that the scene wasn’t already packed with so much emotion it seems impossible not to tear up). First, James Blake actually pulled out a pocket knife during the conflict, but considered his actions and immediately left the bus to call the police. This action was recalled by one of the real life witnesses on the bus, Mineola Dozier Smith. Another detail left out was that when Parks was removed from the bus, all of the other African American passengers decided to exit the bus as well. This would be the true beginning of the 1955 Bus Boycott. Clearly great care was taken with this story though there was one part I felt was neglected as far as quality control. The villain in this episode seemed more of an after thought to me. Yes, he was the reason they had to keep history from changing but he just didn’t feel developed. His exit from the episode also seemed quite anticlimactic. The Doctor, after learning about Ryan’s actions against him didn’t seem upset at all, which also seemed out of character. We may see a return of this character, but Chibnall did suggest each story in this series would be a stand alone and no one would need to watch more to understand what was going on. After watching the past couple episodes I am starting to believe all Doctor Who show runners lie. I suppose there is a little of the Doctor in all of them. It is the first rule after all.